Nestled at the base of the foothills in Hyde Park, Utah, The Vineyards attracts events of all types; weddings, corporate events, concerts or any other party. The barn has rustic charm with modern creative elements. It includes a spectacular stained glass window, breath-taking chandeliers, dramatic spiral staircase, high vaulted ceilings, beautiful balcony and wood beams. Beyond the barn, the vineyard grounds create a warm & inviting welcome to the venue. 1 - It doesn't matter what season it is, deep fall colors, bright white winter snow, summer greens or spring buds, the Vineyards is gorgeous! 2 - The imagination & thought put into the details of the barn is inspiring. It makes great backdrops for photos! 3 - Amazing views all around! The view of the sunset, Hyde Park foothills, & mountains at Mt. Naomi makes our photographer hearts skip a beat... Truly gorgeous! 4 - The staff at The Vineyards take excellent care of their clients. They make you feel like family. It's very apparent that their goal is for your event to be incredible! I can't wait to photograph another wedding there! It's always an exciting day when we get to photograph at The Vineyards! 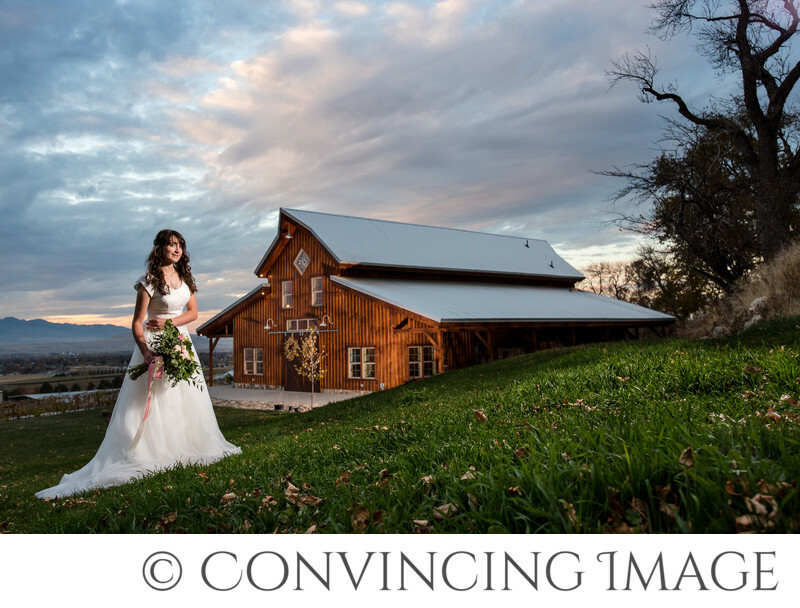 Keywords: Cache Valley Wedding Photographs (3), The Vineyards at Mt. Naomi Farms (3), Wedding pictures at the Vineyards (3).